Five words or less(NewsUSA) – The answer is: Yes, it’s expected. But it’s also a chance for all you brides out there to truly show you know that not everything is about you on your wedding day. That there really is another person involved (that would be the groom) who deserves a bit of recognition, too. We’re talking wedding presents — specifically, yours to your husband-to-be. Tradition does, indeed, hold that both you and he exchange gifts. And while it’s true that some guys are initially shocked to learn your engagement ring doesn’t also count as a “present,” that’s no excuse for you to waver. 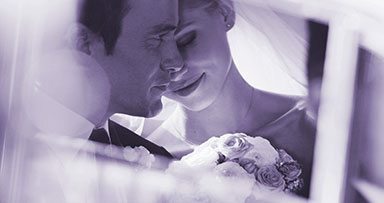 “Giving him something that’s just for him will make him feel really special,” advises BrideBox.com. * When to exchange them. Etiquette dictates that the hand-off occurs at one of three times: the night before the wedding, the morning of the ceremony, or right before leaving on your honeymoon. Think it’s bad luck to see the groom before the nuptials? “Many couples choose to courier gifts via bridesmaids or groomsmen just before the ceremony,” says Brides.com. * There’s a thin line between “romantic” and “mushy.” Some of you may be tempted to compile a “love notes” journal of every bit of correspondence you’ve ever sent your groom. Even assuming he’s the type who wouldn’t consider that a bit “over the top,” there’s always the chance he might be left wondering, “Okay, where’s my real present?”– especially if his gift to you is a serious piece of jewelry. * The consensus choice. There’s a reason a watch invariably makes everyone’s short list: It’s the perfect statement of who he is or aspires to be. (It’s also a lot more impressive than a flask, which for some reason also gets a few votes). No less a taste arbiter than MarthaStewartWeddings.com favors Baume & Mercier’s Clifton line — as elegant as the original 1950s model that inspired it — for the way it “easily transitions from big day to every day.” Like the Swiss watchmaker’s timelessly charming (and affordably luxurious) Classima line, it comes with a choice of straps, dial faces and a variety of what’s known as “small complications” that go way beyong just telling the hour. You can shop them at the Baume & Mercier e-boutique or by calling 1-800-MERCIER, where free engraving and wrapping are available. * Fun fact. One writer at AskMen.com says he’s “heard of women giving their husbands watches in the ceremony instead of a wedding ring.” If so, the answer is: No, just like your engagement ring, that wouldn’t also qualify as a wedding present.